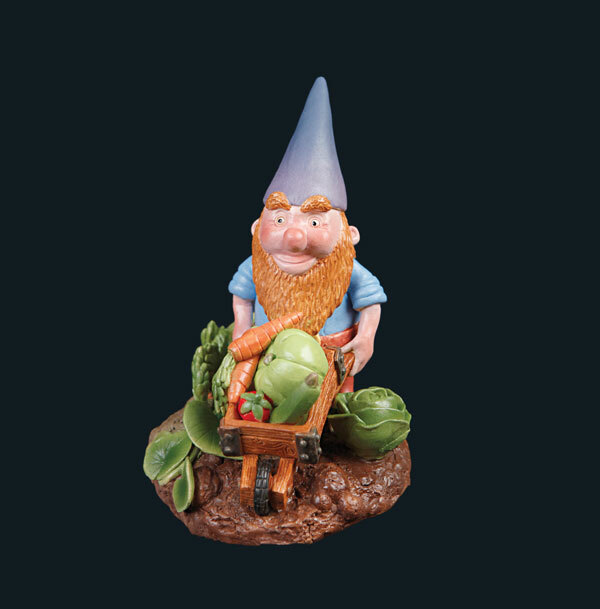 Yep, these Gnomes a champion vege growers. This one needs a wheelbarrow to bring in the produce. 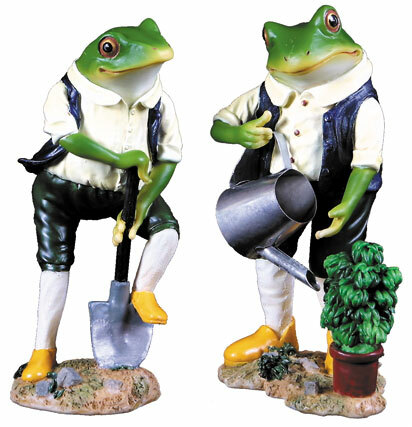 Perhaps he’ll bring luck to your garden . . .? Size approx: 14cm tall. 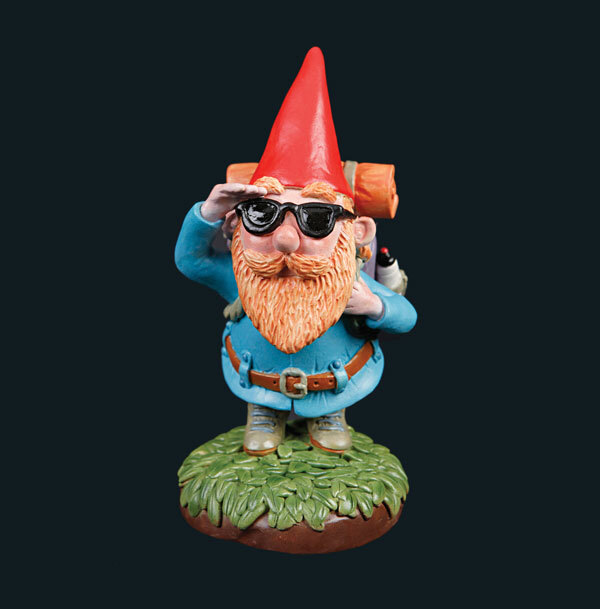 They like to see the world, these Gnomes. This one scans the far horizons, perhaps for a place to camp? With a bedroll on his back it’s clear he’s travelling on the cheap. Size approx: 14cm tall. 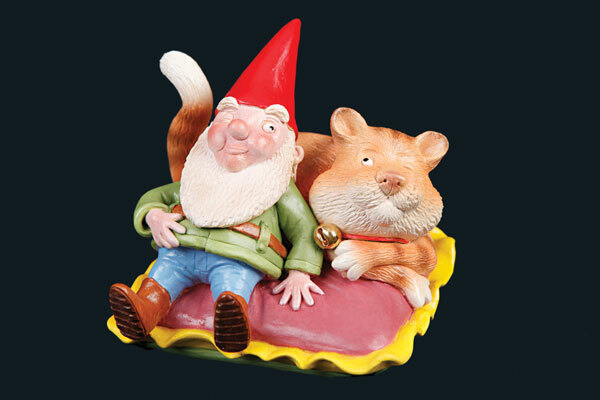 Don’t blame this Gnome for keeping a wary eye on his pet cat – a cat that big clearly needs to be treated with respect! 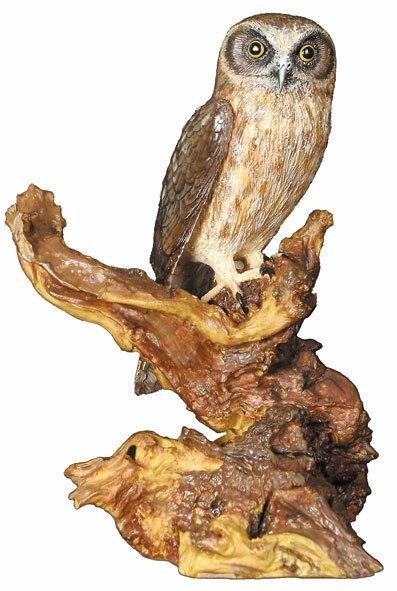 Size approx: 14cm tall. Be VERY afraid. 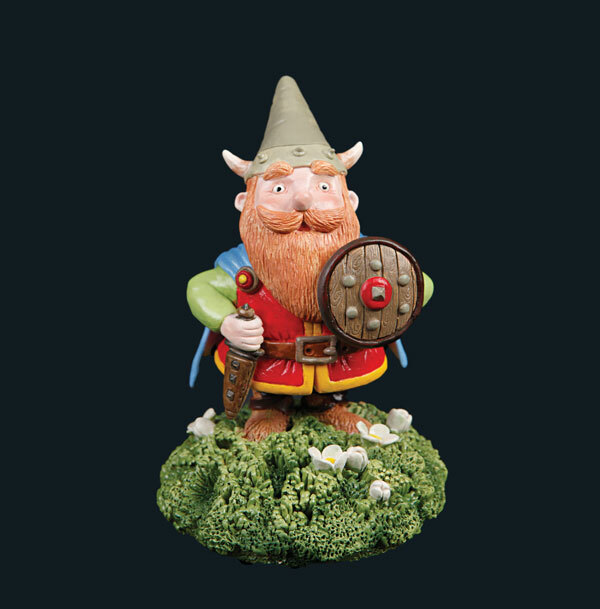 In days gone by these fearsome warrior Gnomes would take on all comers. Looks like this one traces his ancestry back to the Vikings . . . 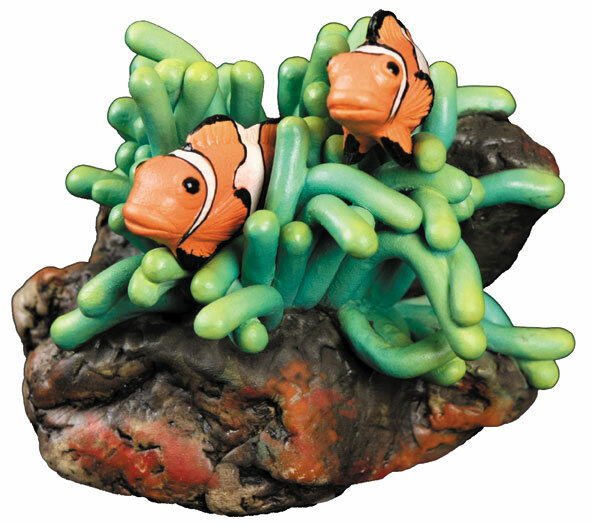 Size approx: 14cm tall. 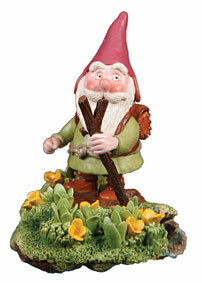 It’s off tramping for this outdoor Gnome. He’s complete with back pack and walking pole and off for a day’s tramp in the hills. 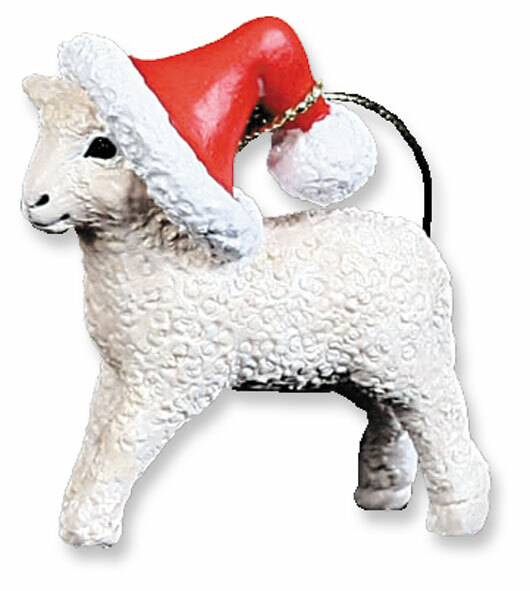 Size approx: 14cm tall. The work boots are to one side, replaced by comfy slippers. 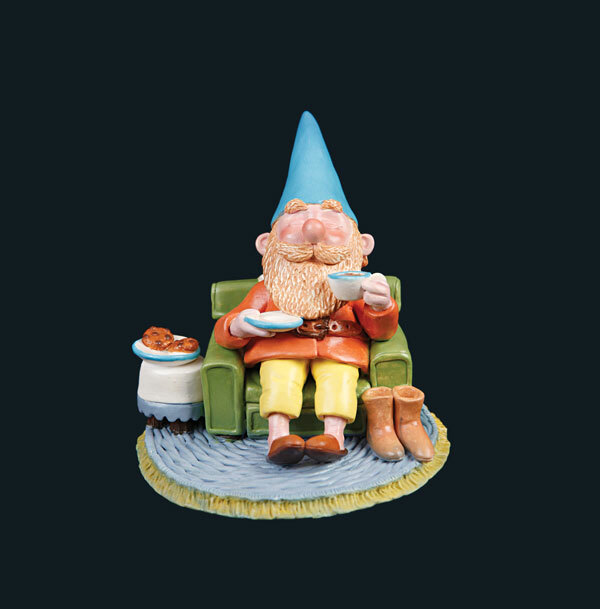 Gnomes are just like us -- after a hard day’s work there’s nothing better than to take the weight off your feet and enjoy a nice cup of tea . . . Size approx: 14cm tall. 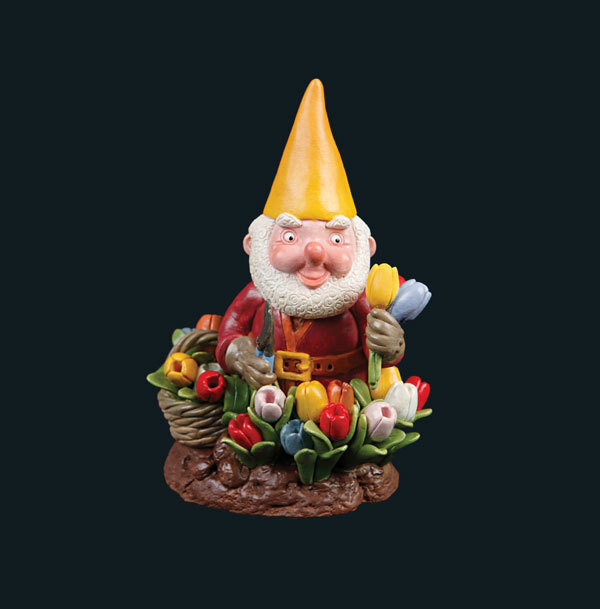 They’re good at gardening, these Gnomes. This one looks pretty chuffed about the beautiful blooms he’s grown. Perhaps he’ll be giving one to his girlfriend. 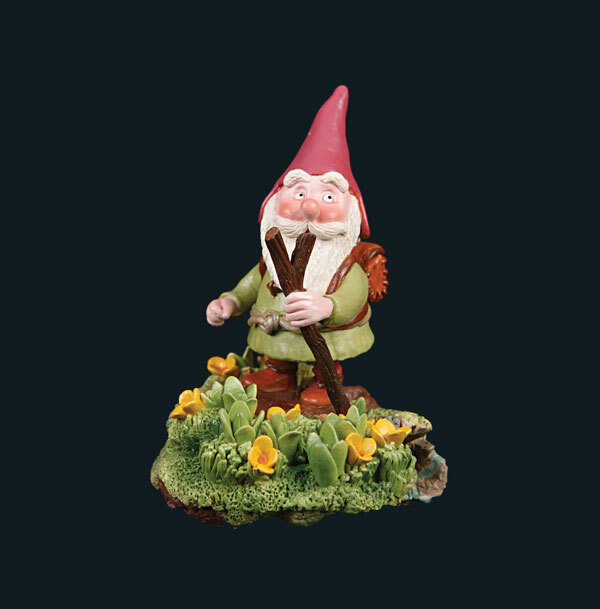 (Do Gnomes have girlfriends?) Size approx: 14cm tall. This guy looks pleased with himself, having cut down a tree in the forest. 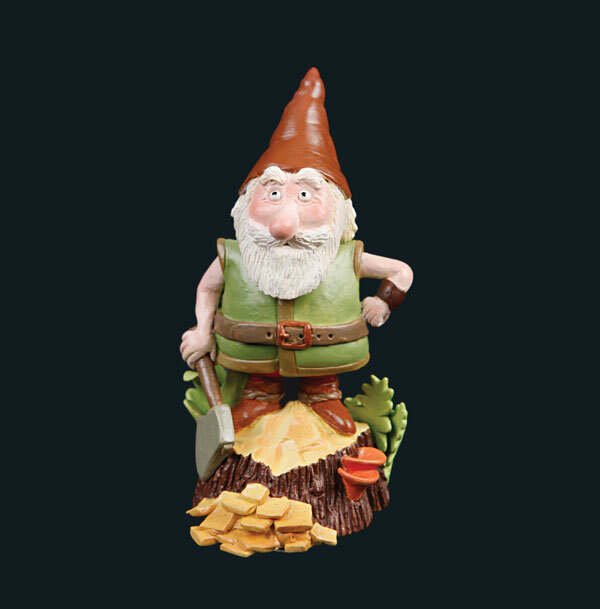 No chainsaw for him – he just uses his trusty axe! Size approx: 14cm tall. 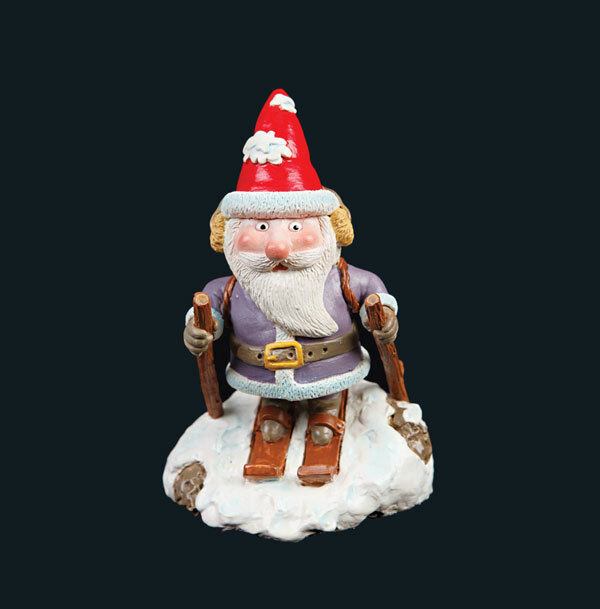 Who would have thought that Gnomes could ski! Yep, they can. Look at this guy, all rugged up and about to launch himself down the slopes. 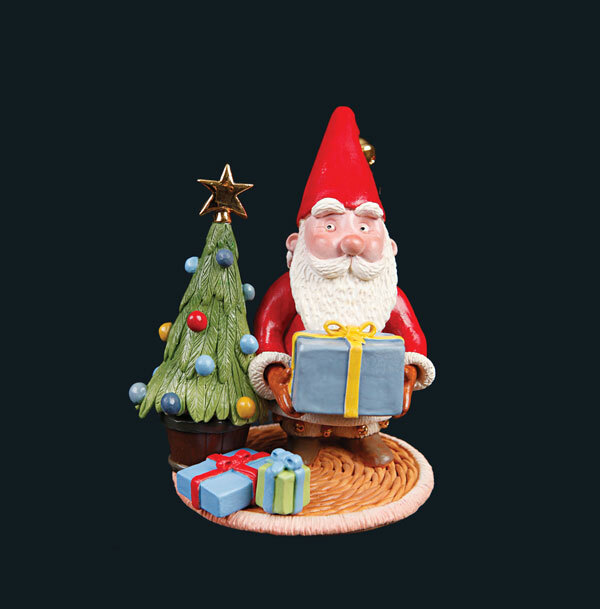 Size approx: 14cm tall.